Bay Port boasts a huge service and repair shop, staffed by a team of factory trained professionals and the largest Travelift on the bay. Our team is committed to providing you with the best possible service, no matter what type of vessel you own. Because we are continually upgrading our skills through factory authorized training programs, our techs can handle any marine repair procedure. 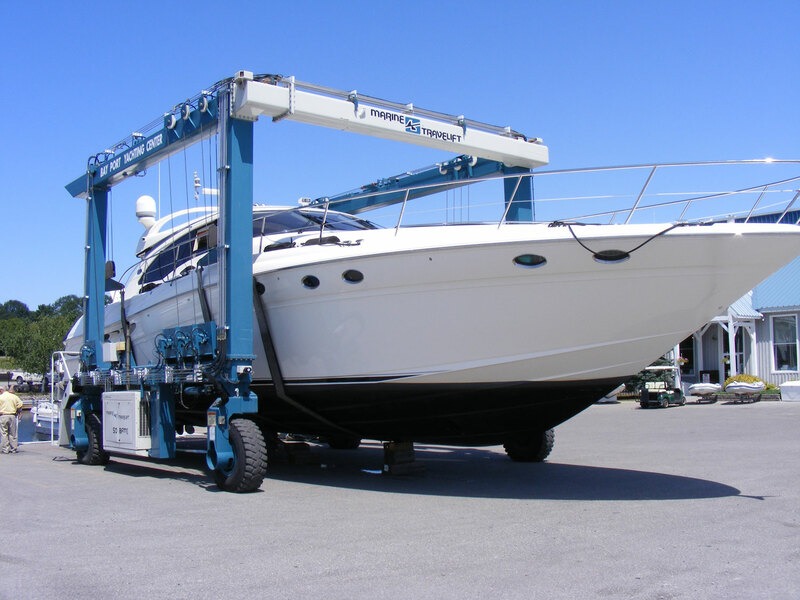 Bay Port Yachting Centre is recognized as a preferred service center for the marine industry. Highly trained mechanics, ship wrights, painters, and riggers attend to the details that make boating a pleasurable experience throughout the season. During the summer season your vessel is cared for by our expert technicians at its dock. While in winter storage, our excellent craftsmen undertake the most complex jobs, often necessary in maintaining or restoring the finest yachts. structural and impact repair using all the latest technology and training materials. We also offer complete refurbishing, hull & deck repainting and gelcoat repairs etc. Six factory trained diesel & gas engine mechanics to meet your needs. The latest in handheld VHF radios and thermal imaging cameras.